The Altair SkyShed Pier is a revolutionary design. It's made of rock solid 6mm thick powder coated steel, and is 32 inches in height excluding the pier cap which adds another 4-6 inches depending on your preference. 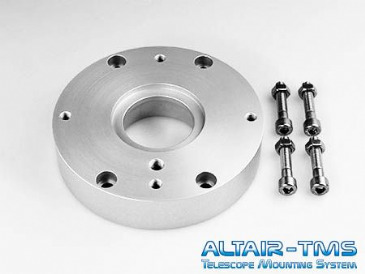 Altair Skyshed Observatory Pier - a well though out pier for observatory or garden use.